Overall Program: Preparing CEOs, GMs, HODs and senior managers to transition from functional specialisation to lead companies, markets and businesses, and change and innovation process in a digital economy. This module helps you translate strategic direction into profit-driven, competitive marketing strategies, tactics and communication. 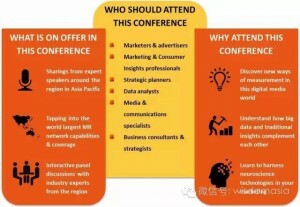 You will cover marketing value system, draw on case discussions with a focus on emerging markets and innovative companies, and evaluate your organisation’s positioning. This module will feature two guest lecturers who will discuss Branding in Malaysia and Insights into the Malaysian Consumer. 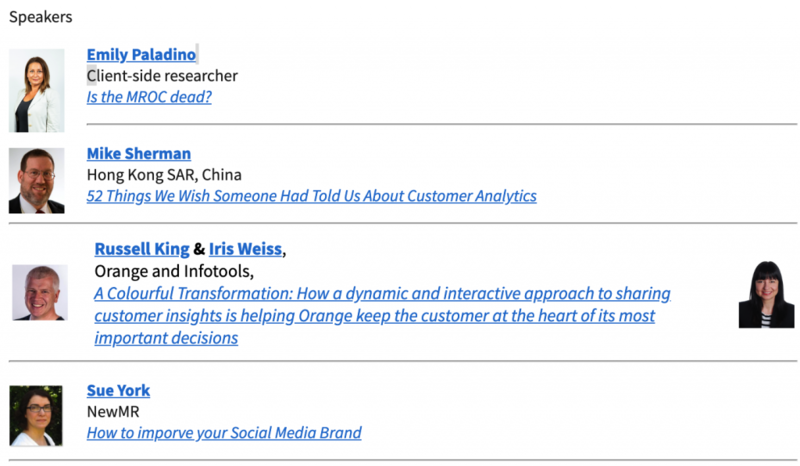 Topic on Day 1: 10 Things I wish someone Had Told Me about Data Analysis. 10 Things I wish someone had told me about Data Analysis? What can the Asia Pacific Region teach the MR world? 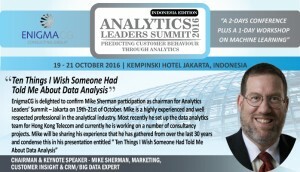 Mike tackles the main criticism of Big Data, that it is all talk and no action. 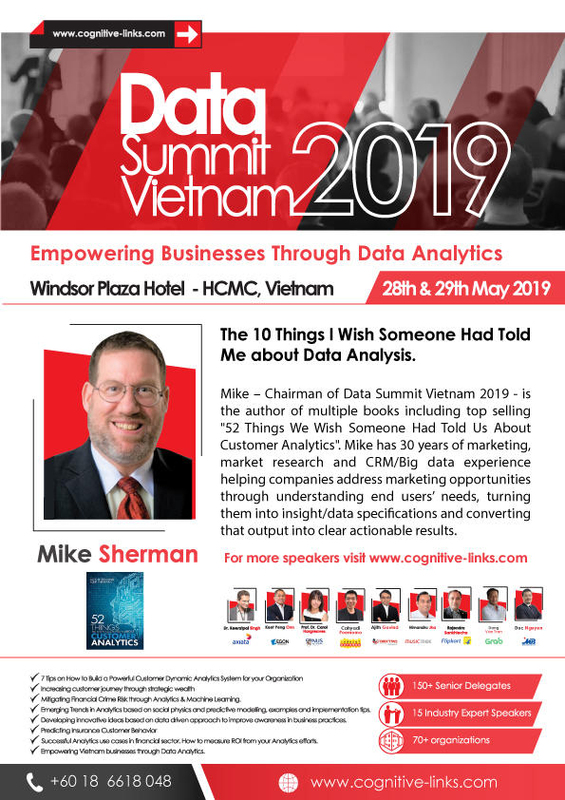 By looking at Big Data successes and failures Mike diagnoses some of the key problems and makes a number of suggestions for increasing the usability of Big Data, including a consumer data mall and data translators. 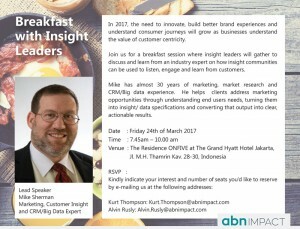 Mike also shows how market research can integrate with Big Data to add value to both MR and Big Data. Globally, most regions and countries are experiencing unprecedentedly rapid demographic change. The huge expansion of human numbers: four billion added since 1950, is potentially the most obvious example of this change. Projections for the next half century expect a highly divergent world, with stagnation or potential decline in parts of the developed world and continued rapid growth in the least developed regions. Other demographic processes are also undergoing extraordinary change: women's fertility has dropped rapidly and life expectancy has risen to new highs. 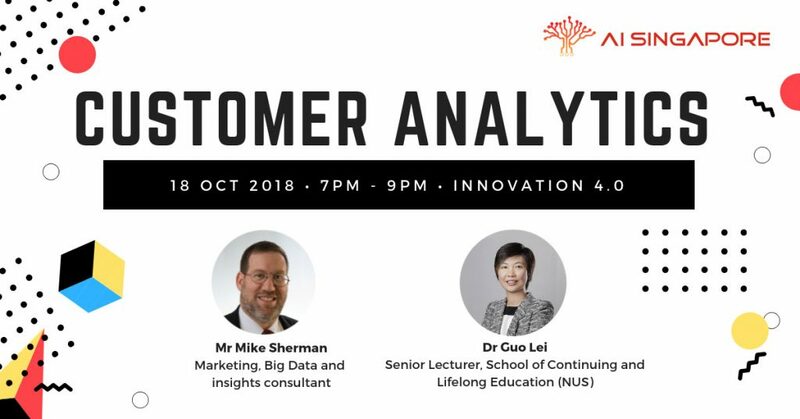 Come along to our next Hong Kong analytics community event and hear about how demographic analytics can be used to drive value in your enterprise. *Please note this event has limited capacity and all attendees must be registered in advance. All invitations will be confirmed one week before the event. If you can no longer attend, please make sure to update your invitee status to indicate no longer attending so that others who want to attend, can. Topic: "Data-Mediary - A Consumer-Driven Big Data Engagement Concept"
Topic: "The Challenges of Rolling Out Big Data Initiatives"
Topic: "Engaging with Third Parties"
The second ResearchWOW (half-day) training - Innovations in Market Research, will be held in the afternoon on 15th October, 2014 at Lixin University, we sincerely invite you to attend. 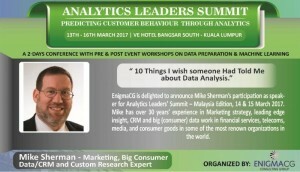 Mike Sherman ran research for the digital division of Singtel, the Singapore telecom. 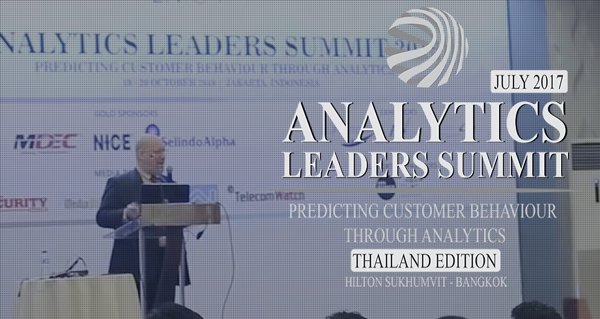 He pioneered the use of Big Data and Analytics there and he's going to tell us all what he learned. 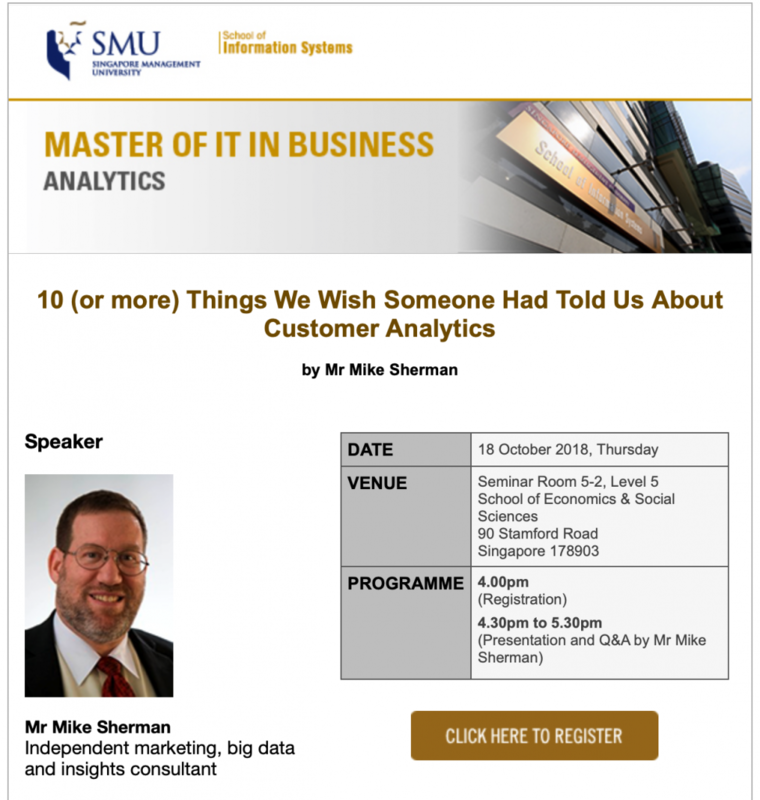 Strategic Marketing Research and Analysis, aka Getting Value (Not Just Reams of Data) From Your Research, Strategic Marketing Forum, SIM (Singapore Institute of Management). 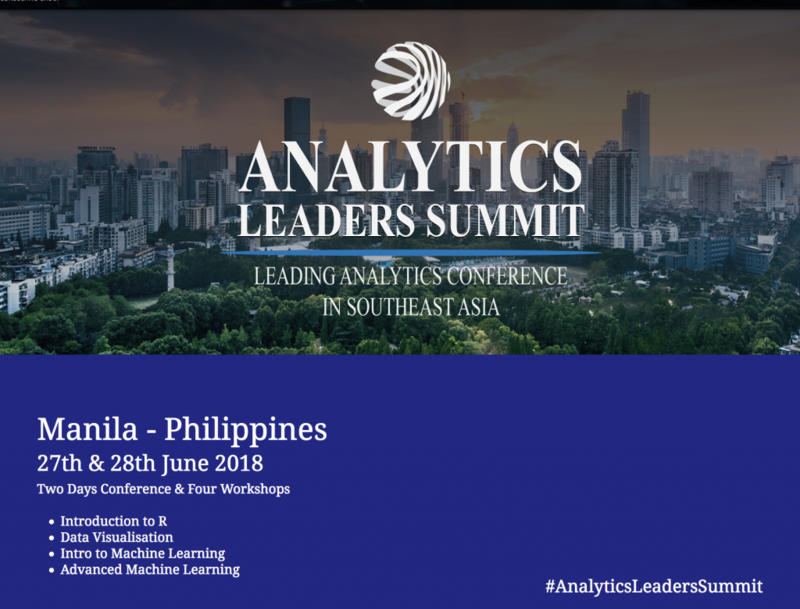 Singapore Management University, Lee Kong Chian School of Business, how to win the hearts and minds of research users: leveraging market research to achieve greater business impact! 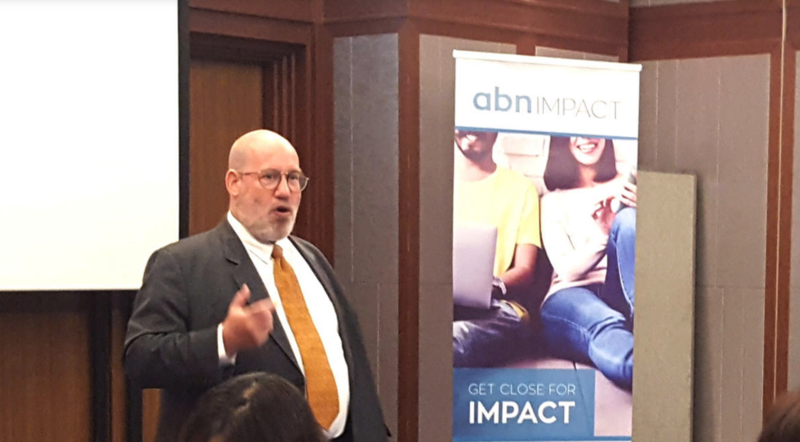 Nanyang University Business School, EMBA seminar, how to win the hearts and minds of research users: leveraging market research to achieve greater business impact!